I am an animal lover. I adore animals and have since I was a child. Which is why last week was a truly superb week here in the Lyons Den. 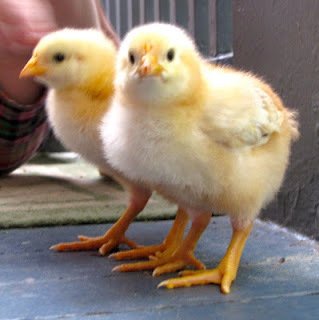 For starters, we had three small chicks sleep over as part of a second grade science project — little balls of fluffy cuteness that elicited smiles and squeals of delight. And I’m not just talking about the kids! Does it get cuter than this? FYI, chick three was camera-shy. With another mom, we were the first in line. Or be too crowded and totally insane. No kids in sight, it was truly zen. Our kids were back at their school, stuck at Dows Lane! No bus, no kids, what are moms to do? Well, we walked right in and toured the zoo! When the second graders arrived,they were kinda pissed. As the skies opened up and it started to rain. But not to be deterred, we went to see birds and didn’t fret. The kids had learned a lot about them at school. I really learned a lot that rainy day. Fifty wet second graders can be fun and witty. If you cut down the trees, the birds will disappear. Bye bye Bronx, bye bye zoo. So long Aquatic Birds and Birds of Prey too. Second graders reflect fondly on a zoo day from hell! And, for the record, I do too. I really was lucky to go to the zoo. But a day at the zoo is as good as it gets. Is a great day for me, a little slice of heaven.